We all know Chiang Mai is a very well-connected city. 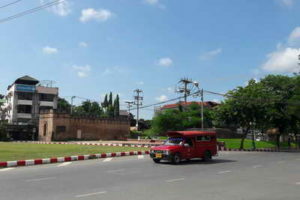 It is the administrative capital of northern Thailand, and many nations maintain consulates here. It is a hub for travel train, bus, road and air services, with flight connections to Laos, Myanmar and southern China. Visitors generally regard it as modern clean and safe, and agree it offers a splendid selection of hotels, cabins, campsites and guest houses, as well as a plethora of dining options. But Chiang Mai is so much more than just comfort and convenience it’s a historical, cultural and natural Utopia, a place where beauty meets magnificence. Let us look behind the scenes of the breathtaking sites of our fair city, and offer you a compilation of other reasons why you just can’t beat the charm of Chiang Mai. Many people think of Chiang Mai as a bustling city, but drive no more than 15 minutes in any direction and you’ll be awestruck by a terrain of tropical orchards, rice paddies, soaring limestone mountains, teeming waterfalls and acre upon acre of lush green rainforest. Suddenly the 7-Elevens and the shopping malls feel like such a distant memory. Local people here are often very traditional and pious, and always have been. The result is a Disneyland of temples, monasteries and shrines throughout the city. 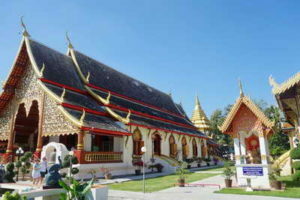 And it’s not only Buddhism that marks the spirituality of Chiang Mai there are mosques, churches and Hindu temples, Chinese temples, animist shrines and New Age meditation centres along the way. Light a candle and say a prayer for someone while you’re here. Very few small towns ever rise to become great capitals, but that is what happened to Chiang Mai. Before King Mengrai founded the city in 1296, it was no more than a tiny hamlet. 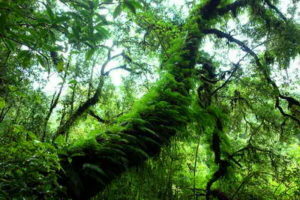 Within a few centuries it had grown to become the administrative centre of the Lanna kingdom, which included northern Thailand, parts of Burma, Laos and southern China. It was an illustrious kingdom which developed a unique alphabet, its own laws and an archive of religious scriptures. 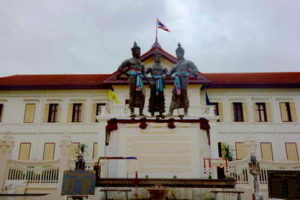 With its long history and geographical advantages as a centre for trade, Chiang Mai generated solid neighborly relationships with all its adjoining states and the various ethnic people living in the region. Over time, the process of cultural interchange led to a fusion in traditions, architecture, culinary skills and many other aspects of daily life. The province is now home to ethnic groups such as the Akha, Karen, Hmong, Shan, Lisu, Lahu, Yao, and the colorful costumes, languages and cultures that they bring. The people of Chiang Mai are renowned for their delightful personalities and carefree lifestyles. When a local Lanna lad or lassie does not feel like doing something, they simply overlook Its exigency. 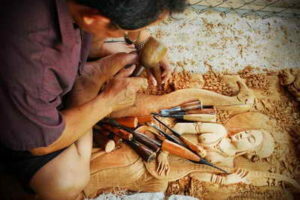 However, when he has an interest in something, he works on it meticulously, putting his heart and soul into it. Visit the silversmiths on Wualai Road or the woodcrafters in Ban Tawai. Watch with awe the precision and care they put into every movement, every detail. It has been said (usually by those city slickers down south) that Chiang Mai is a wonder city of indifference. 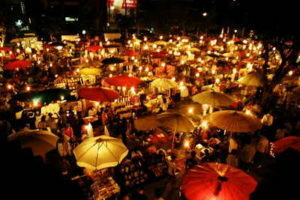 In fact, there is usually no lack of interest, feeling or reaction by people in Chiang Mai in any given situation. On the contrary, they are invariably anxious to learn from you, and will express an interest in whatever you are doing, and they are not shy of approaching strangers. However, what might at first come across as a lethargic response could better be interpreted as “a stylized slow-motion of urgency.” Perhaps it’s that the climate encourages a “let-it-be” character in its citizens. Pedicab riders and tuk-tuk drivers market vendors, laundry women, witnesses, even policemen, they all work very long hours they just prefer doing it in slow motion. Leave your wristwatch behind for a few days and go with the flow.